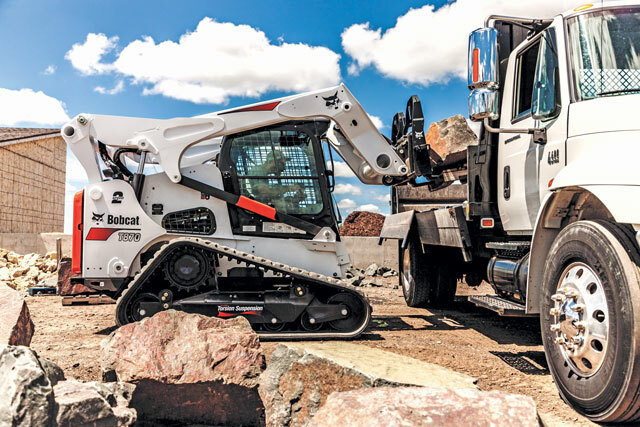 The Bobcat T870 compact track loader features the 5-Link torsion suspension undercarriage which is the latest innovation from Bobcat Co., delivering increased durability and reliability, improved stability and unmatched ride quality. It features longer-lasting components that are better protected from wear and tear to minimize machine downtime. And now, a unique fifth link on the rear axle stabilizes the loader’s undercarriage when grading and lifting loads for increased performance. As the torsion suspension undercarriage absorbs stress and vibrations on rough terrain, it provides a smoother ride that operators can feel throughout the machine. For more info, visit bobcat.com/loaders/features/torsion-suspension-undercarriage. The most compact unit in the Takeuchi track loader lineup, the TL6R’s compact dimensions allow it to get into areas with limited space such as garages and chicken houses. With a radial configuration, the TL6R is agile and easy to transport. The undercarriage components are model specific with larger bearings resulting in slower shaft speeds for longer component life. All rollers are permanently sealed, with metal face seals to keep dirt and other contaminates out for greater durability. The TL6R features a newly designed cabin with an overhead 5.7-in. multi-information display and backlit rocker switches that control a variety of functions. This track loader comes standard with Takeuchi Fleet Management for two years at no cost. For more, visit takeuchi-us.com. The 100-hp 333G compact track loader from John Deere has a refined vertical-lift loader boom design that rises higher, reaches farther and lifts more for easier loading. The 333G works comfortably in tight quarters, so operators can accomplish more with less machine. Increased rated operating capacities of up to 3,700 lbs gives it the muscle needed to master heavy loads for a variety of applications. Boom design keeps the load close to the machine for better stability. 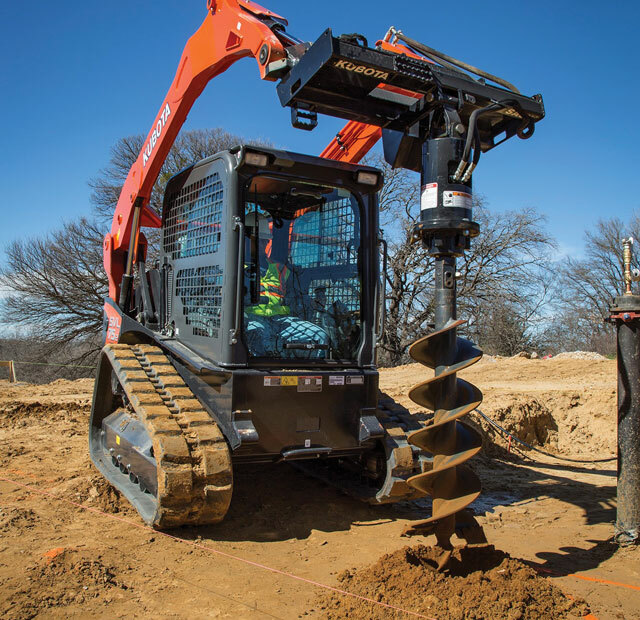 A low center of gravity, 35-degree bucket rollback and optional ride control and self-leveling also helps keep buckets full and forks loaded — making this machine popular for those looking for a Swiss army knife on the jobsite. For more info, visit johndeere.com. 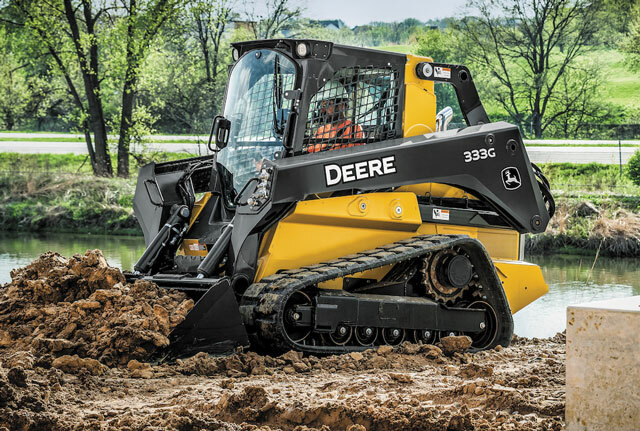 The 259 is a mid-frame-sized track loader with a 74-hp engine that delivers a power dense machine platform. This power density provides a great horsepower-to-weight ratio to deliver lifting, digging and pushing performance. Standard two-speed travel increases productivity by making jobsites quick and easy to navigate. The standard, torsion axle suspension provides improved traction and flotation by keeping the maximum amount of track on the ground at all times. The suspension also delivers a more comfortable ride, along with better traction and flotation even in uneven underfoot conditions. The auxiliary hydraulic system, either standard flow (20 gpm) or high flow (30 gpm), allows the machine to be combined with performance matched hydro-mechanical tools. For more info, visit cat.com. 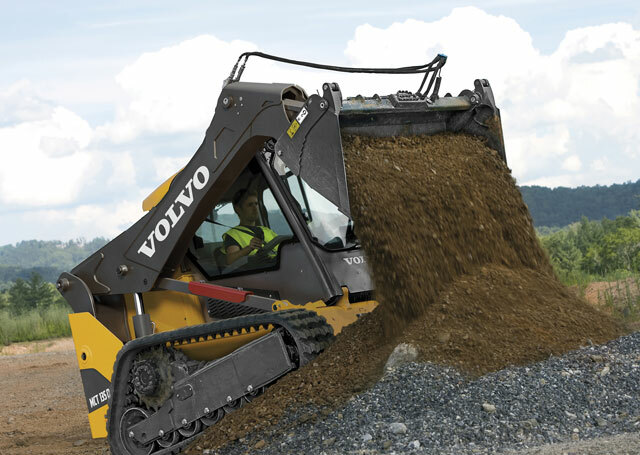 Volvo Construction Equipment’s MCT135D compact track loader is part of Volvo’s revamped D-Series lineup offering stronger boom designs and one of the roomiest cabs on the market. 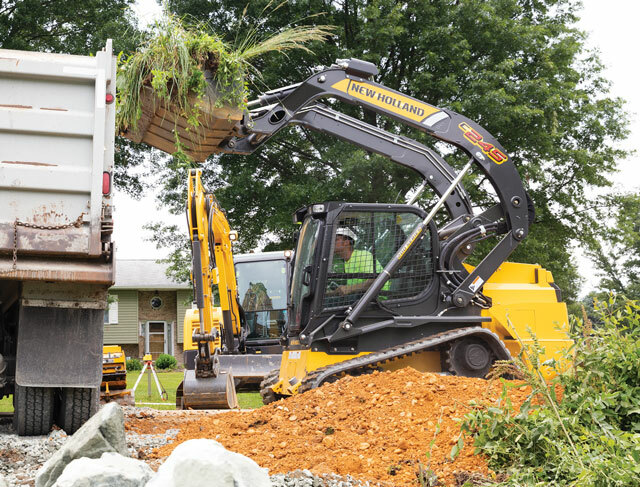 With the curved single loader arm, large top window and narrow ROPS cab pillars, operators benefit from 270 degrees of visibility — up to 60 percent more than conventional models featuring the two-arm design. The arm and attachment brackets are better than ever, offering forward and side views of the attachment and jobsite. The wider side-entry door and handrails let operators enter more safely without stepping over an attachment. These machines also offer simple serviceability by making internal components more easily accessible with a forward-tilting cab. For more info, visit volvoce.com/na. Kubota’s SVL75-2 with high flow compact track loader is the latest addition to its popular SVL Series, which includes the SVL75-2, SVL90-2 and the SVL95-2s. The SVL75-2 is trending toward one of Kubota’s most popular options for customers. The SVL75-2 with high flow offers increased hydraulic horsepower, expanding multi-tasking capabilities for a wide variety of attachments on the jobsite. Boasting a 74.3-gross-hp, four-cylinder, direct injection, turbo-charged Kubota diesel engine, equipped with common rail fuel injection and a diesel particulate filter (DPF) system, the new SVL75-2 with high flow meets Tier 4 emissions standards and matches reduced exhaust emissions with enhanced fuel economy. For more info, visit kubotausa.com. The JCB Teleskid is the world’s only compact track loader with a telescopic boom, quickly making it a favorite in the industry. This unit allows a forward reach of 8 ft — 60 percent further its nearest competitor — and a lift height over 13 ft — 8 percent higher than any track loader on the market. 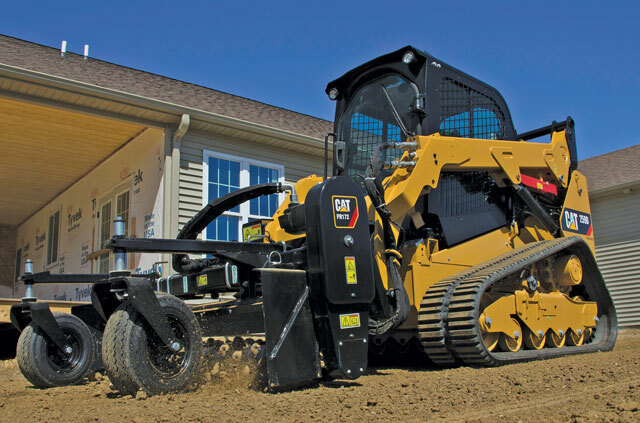 Additionally, it is the only compact track loader that can dig below grade to a depth of 3 ft. The JCB Teleskid compact track loader has a rated operating capacity of 3,695 lbs. The machine’s single-arm, telescopic JCB Powerboom allows operators to perform tasks not possible with conventional skid steers such as loading high-sided trucks, reaching across flatbed trailers and digging ditches. Entry to the JCB Teleskid is via a wide-opening side door. For more info, visit teleskid.jcb.com. 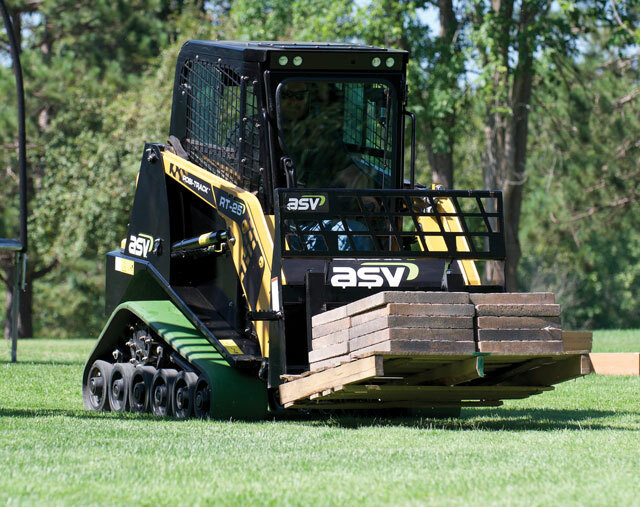 ASV Holdings Inc.’s new RT-25 Posi-Track track loader is an economical and popular choice for contractors, rental centers and homeowners working in tight space applications. 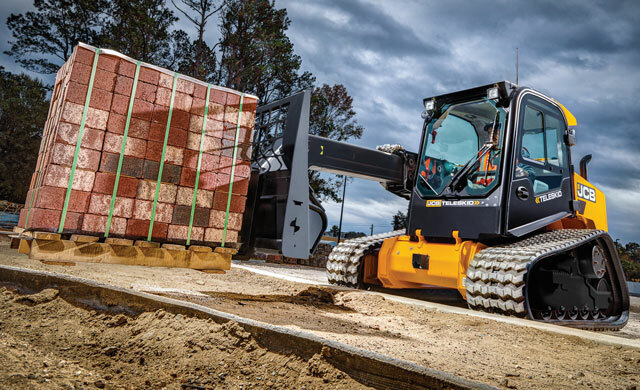 Its size makes the loader the industry’s smallest sit-in track loader. The RT-25 measures just 48 in. wide for high performance in tight spaces and weighs 3,755 lbs for less risk of damaging sensitive surfaces. It achieves maximum productivity with a 25-hp Perkins diesel engine and 5.1-mph top speed. The machine has a ROC of 665 lbs, a tipping load of 1,900 lbs and an 8.4-ft lift height. It has 10 in. of ground clearance and a 55-degree departure angle. The RT-25 includes an 11.3-gpm pump capacity and 3,000-psi system pressure. For more info, visit asvi.com. 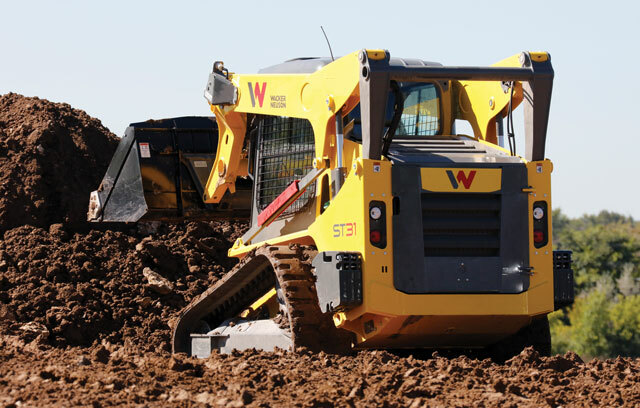 Wacker Neuson’s medium-frame compact track loaders are the ideal fit for a variety of applications. Two compact track loaders were developed from the ground up, offering the power and torque needed to lift more, push more and work longer. Wacker Neuson has a unique warranty that includes a three-year standard, four-year powertrain and five-year electrical system warranty, making these loaders an excellent return on investment. 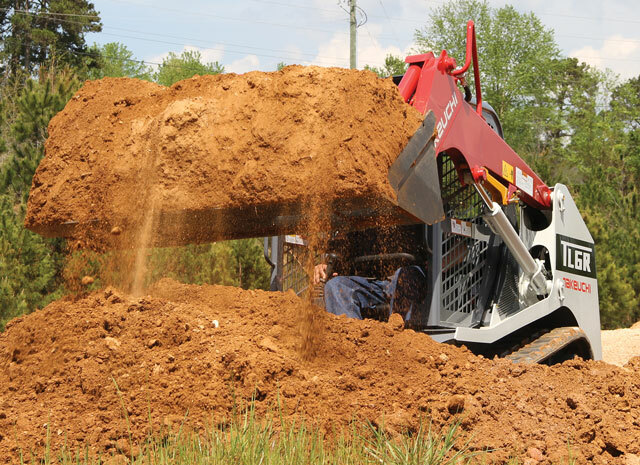 The ST compact track loaders are built for performance, versatility and convenience. Class-leading hinge pin height on the vertical loader provides maximum loading and unloading capabilities. An engine torque of 221 ft-lbs provides the power needed for improved ground-engaging performance in all kinds of terrain. For more info, visit wackerneuson.us. 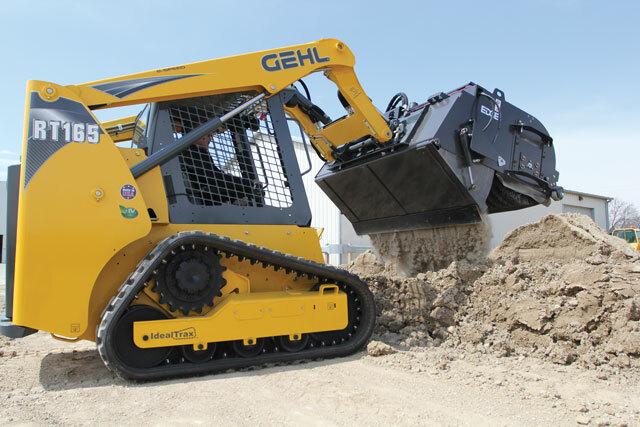 The Gehl RT165 compact track loader takes performance to the next level. Designed with compact dimensions and operator’s choice of controls (joystick, T-bar or hand-foot) this machine is ideal for many applications in the rental, landscape and construction industries. It has a 68.4-hp Tier 4 engine with plenty of low-end torque and a robust lift-arm that can reach further and dump higher. The RT165 offers an operating capacity of 1,650 lbs, maximum lift height of 119.6 in. and a low operating weight of 8,020 lbs. It was also built on an adapted R165 skid loader chassis for 85 percent parts commonality. The RT165 comes with Gehl’s trademarked IdealTrax, IdealAccess and Hydraglide features. For more info, visit gehl.com. New Holland’s latest compact track loader, the new C245, is the largest track loader offered by the company. The C245 can achieve 9,200 lbs of breakout force, 4,500 lbs of rated operating capacity at 50 percent tipping load and hydraulic relief pressure of 3,450 psi. The enhanced high-flow package can achieve hydraulic power up to 82 hp which delivers outstanding lifting force. In addition to its power, the C245 is equipped with steel front lights that offer superior visibility, especially during nighttime operation. These feature highlights, along with its heavy-duty construction, cab comfort and smooth ride, make the C245 a popular standout, able to lift more, haul heavier and efficiently accomplish every job. For more info, visit newholland.com. Want more track loaders? Click this link!